Scale new heights with Lara Croft in search of the ultimate prize. Join Lara Croft in the continuation of her epic origins story – and embark on her first tomb raiding mission to secure the secrets of immortality. Survive in a harsh environment by scavenging for the tools to create new and deadlier arrows – and use Lara’s skills to track and hunt animals and craft special clothing and bows. Use stealth and agility to take down enemies and move swiftly through hostile terrain, climbing towering cliff faces, leaping between crags and ledges and using Lara’s grappling hook to reach incredible heights and stunningly detailed vistas. Track down this special 20 Year Celebration edition of Rise of the Tomb Raider and you’ll secure a wealth of additional content, including the all-new Blood Ties chapter, with full PlayStation VR support. Live the game through Lara’s eyes and explore Croft Manor in the all-new Blood Ties chapter – optimised for PlayStation VR. Become more than a survivor in this week’s PlayStation Store Deal of the Week, Rise of the Tomb Raider: 20 Year Celebration. Available on PS4, embark on Lara Croft’s expedition to the most treacherous and remote regions of Siberia, at a drop-down price. 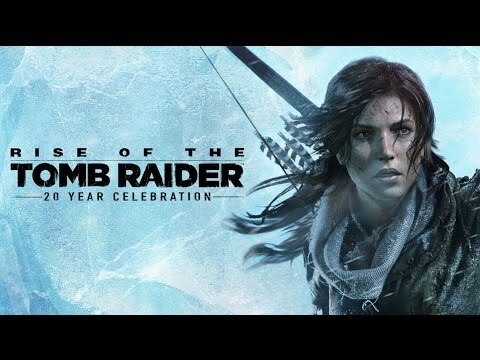 Buy Rise of the Tomb Raider at a discount on PlayStation Store […] The post Fresh PlayStation Store discounts are live this weekend appeared first on PlayStation.Blog.Europe. The following is an excerpt from the upcoming 20 Years of Tomb Raider, the definitive guide to the franchise, digging deep into two decades of Lara Croft’s impact on pop culture. As Lara returns to PlayStation 4, we look back at a key moment from the character’s past, as she takes her first steps towards […] The post Lara Croft… the racehorse? True stories from 20 years of Tomb Raider appeared first on PlayStation.Blog.Europe. We’re standing a few feet into Croft Manor’s wine cellar and are hesitant to move another step. Our surroundings are dank, dark. A single small window at the corridor’s end fails to illuminate the bowels of Lara’s childhood home. Shadows and cobwebs are everywhere. A shiver involuntarily runs down our spine. Truthfully? We’re a little […] The post Walking in Lara’s world: exploring Tomb Raider in PlayStation VR appeared first on PlayStation.Blog.Europe. Hi everyone! We just announced that Rise of the Tomb Raider: 20 Year Celebration will launch on PlayStation 4 on 11th October 2016. We are thrilled to share this news with you. When we were planning the PS4 version of Rise of the Tomb Raider, our very first imperative was to out-do anything we’d done […] The post Rise Of The Tomb Raider arrives on PS4 this October with new PS VR mission appeared first on PlayStation.Blog.Europe.